To ensure that users read proper manual pages: should we allow hyperlinking of x-man-page:// URLs? Example: x-man-page://8/fsck_cs is misinterpreted as an http:// URL. Appropriateness. Referring to an http:// or https:// URL for an online copy of the page may present a manual that is too new or too old for the user's system. Linking to an x-man-page:// URL will ensure that the page, read in OS X, is proper for the system. other stacks might be less welcoming of link protocols that are operating system-specific. for this reason, I chose Ask Different for this meta question. Questions of a type that might include x-man-page:// URLs are not likely to be migrated to any stack other than Ask Different. 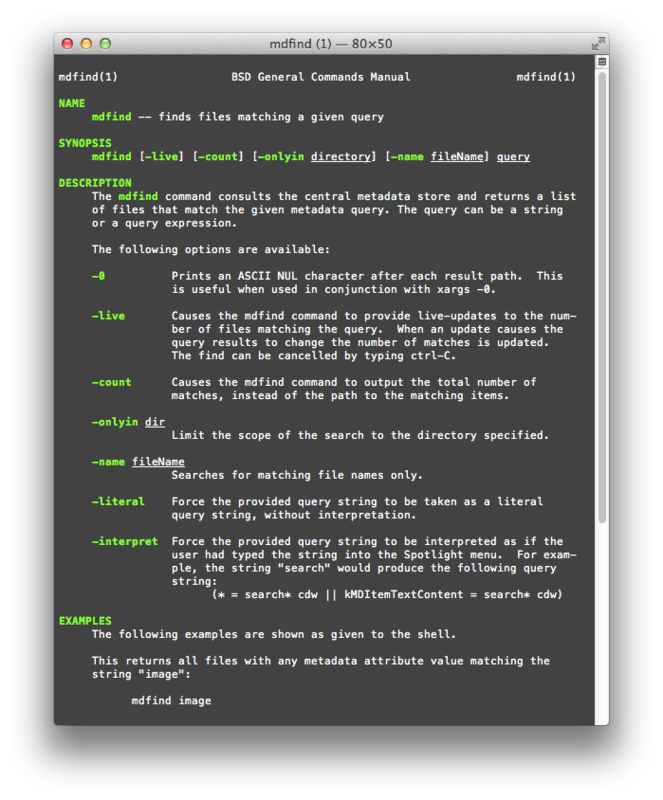 view the manual page for mddiagnose in Terminal in OS X.
Verbosity and gobbledy-gook. This exists in some man pages, not all. If a person will be daunted by the content of a page, then he or she might prefer to read that content in a web browser (solutions such as Bwana are given in answers elsewhere). However: most such content relates to use of Terminal, so I argue that there's value in encouraging uses that can make Terminal less daunting. Reading a page that can be scrolled and closed with ease is one such use case. All-in-all I like this idea, but I want to raise one point of concern. Generally speaking, a user who needs help accessing a man page has a high likelihood of being a user who will might be a little freaked out when clicking on a link opens a terminal session and causes pages (and pages and pages) of gobbledy-gook to appear. Discuss. I was also thinking that allowing x-man-page links would be convenient, but then I realized there is a major caveat that nobody has considered; if you're using any other operating system then these links become completely useless. I'm often browsing stackexchange from iOS, or Linux. Without some type of user agent detection to redirect x-man-page links for non OS X users the cons quickly outweigh the pros. Even then the issue becomes needing to provide online man page links in addition to those native to OS X. I love having the ability to use x-man-pages, however, using OS X is not always an option even while I'm on askdifferent.com. Linking between globally available web pages is better in the long term. Avoid the exclusive use of x-man-page links. There are risks associated with any x- prefixed scheme. x- is non-standard and no browser vendor has any long term reason to continue support. If Apple decide that manual pages are deemed too complex for their customers, they can remove support for the x-man-page scheme without consequence. Remember how feed support was removed in OS X 10.9. Linking to web pages reinforces the web and the notion of hyperlinked content. Linking between local and hosted content will break the easy crawling and indexing of Ask Different's content. Linking locally assumes the reader is using a Mac running a specific version of OS X. What happens to those researching answers for others? They may be presented with outdated or too modern manual pages, as easily as we might link to an incorrect version today. Apple once hosted versioned manual pages. These pages have since been replaced by copies of only the latest edition of each page. 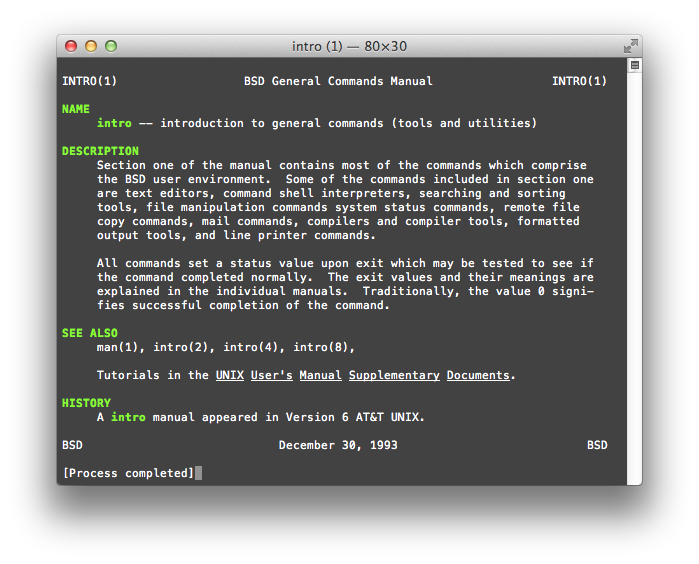 Is there is a stable host of versioned Mac OS X manual pages that we could link to? This would address the versioning problem and remove the requirement to be browsing on a Mac with x-man-page scheme support.